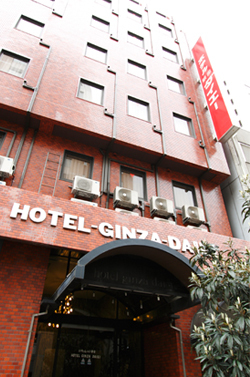 Hotel Ginza Daiei is conveniently located only seven minutes by foot from Ginza Station on the Ginza Line, and five minutes by foot from Higashi-ginza Station on the Hibiya Line. Many famous shops and gourmet restaurants are located nearby, making it the perfect location for both business and sightseeing. Spaces available for cars up to 1.8 meters wide, 5 meters long, and 1.8 meters tall. When parking, please fold in your side-view mirrors. Cancellation policy Cancellation fees are charged as outlined below.